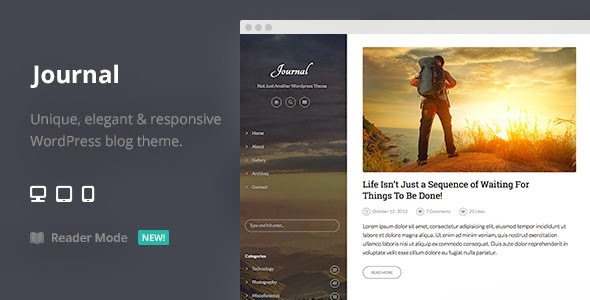 Journal is an awesome WordPress theme which brings elegant & unique design. It’s ideal for blogging. It’s very flexible, fully customizable and powered with Redux Framework. Journal also provides you a pure reading expereince with a feature called Reader Mode. Click the ‘reader button’, sit back and enjoy your reading. Item Reviewed: Journal Elegant Responsive WordPress Blog Theme 9 out of 10 based on 10 ratings. 9 user reviews.